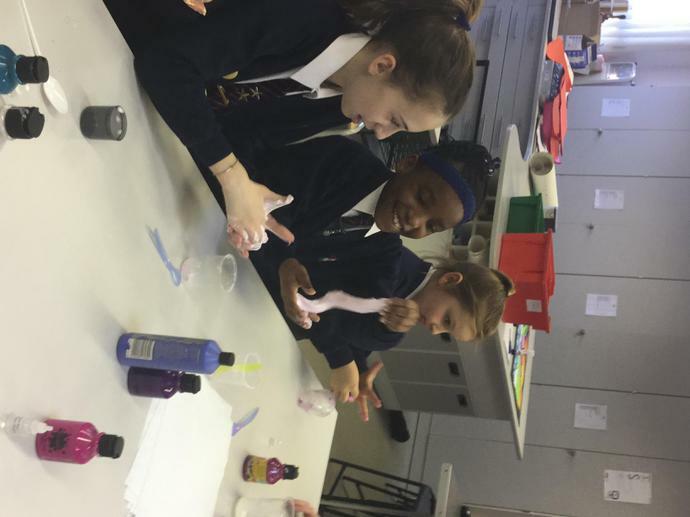 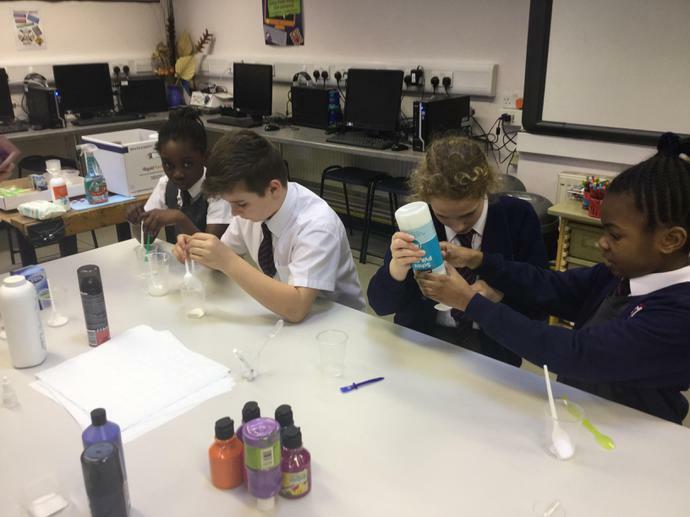 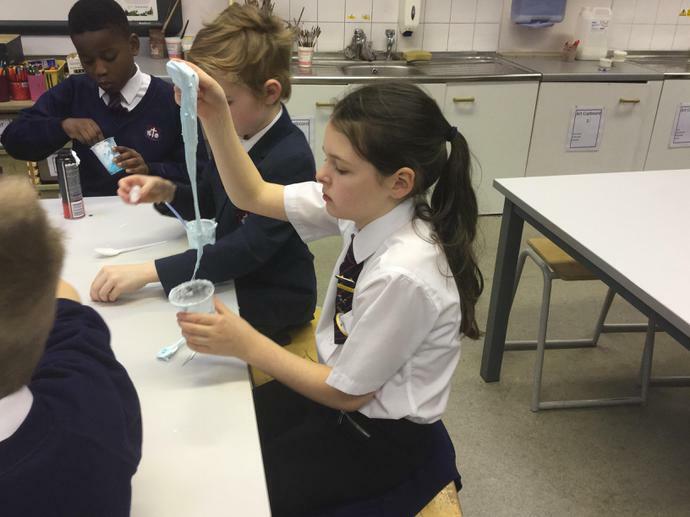 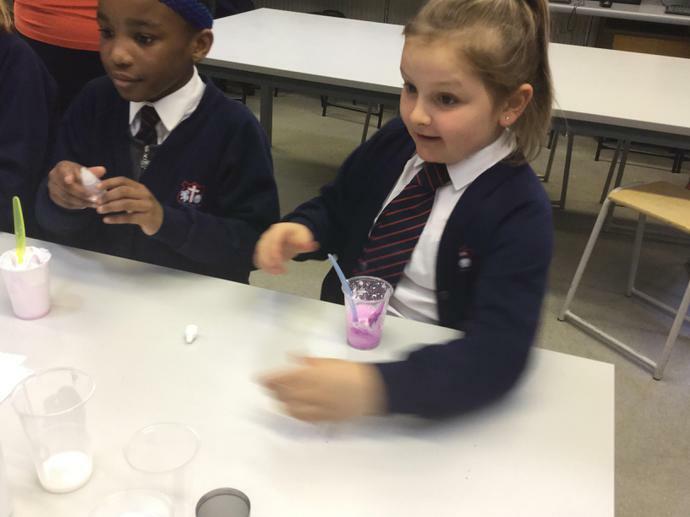 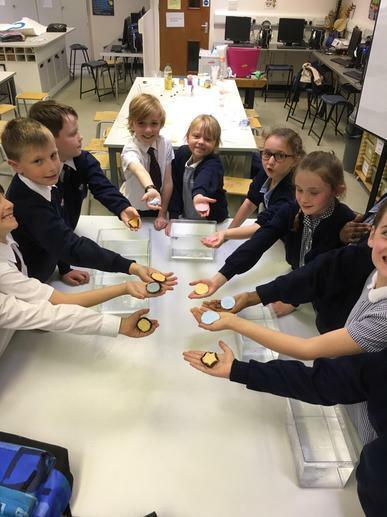 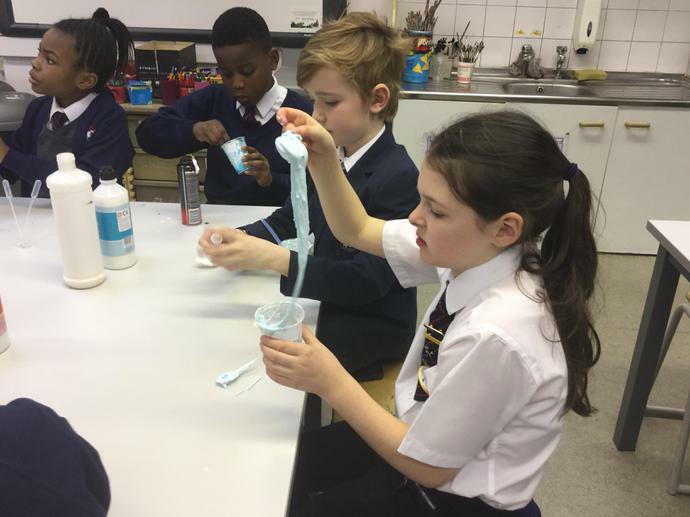 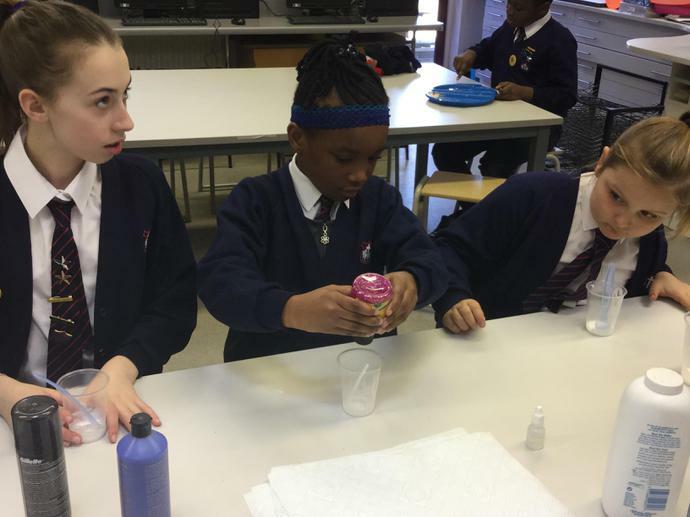 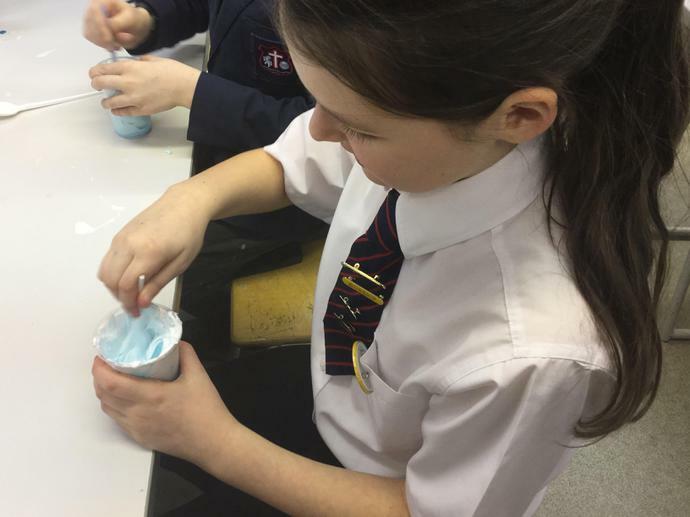 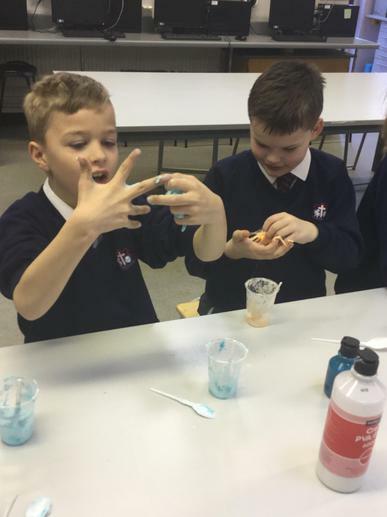 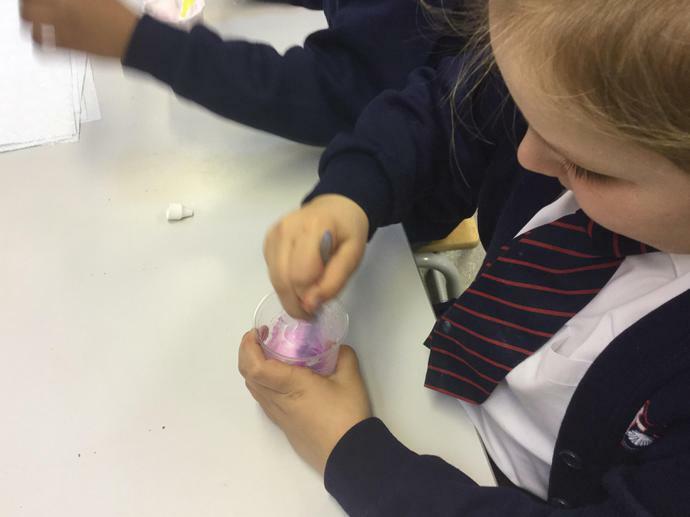 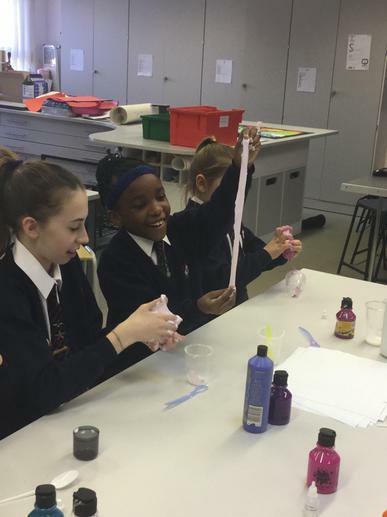 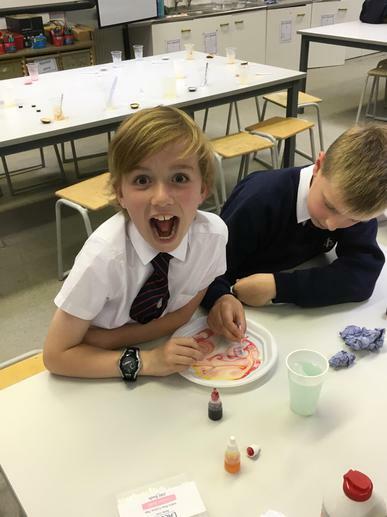 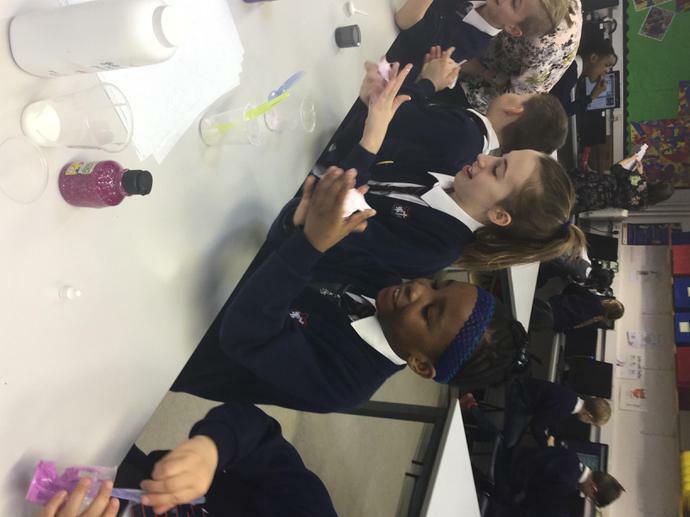 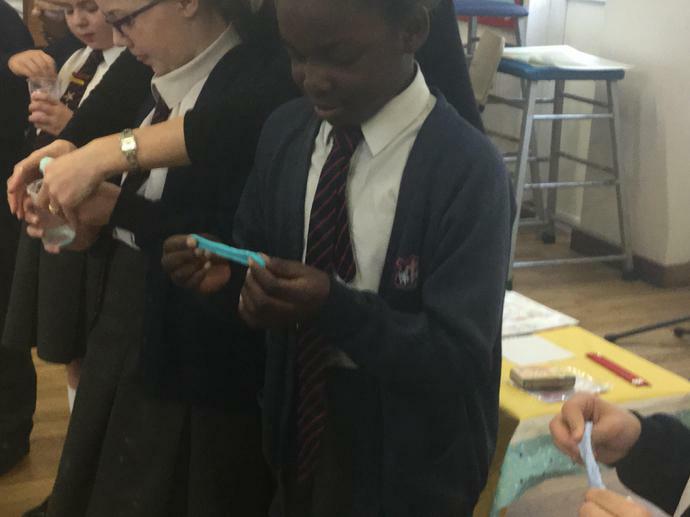 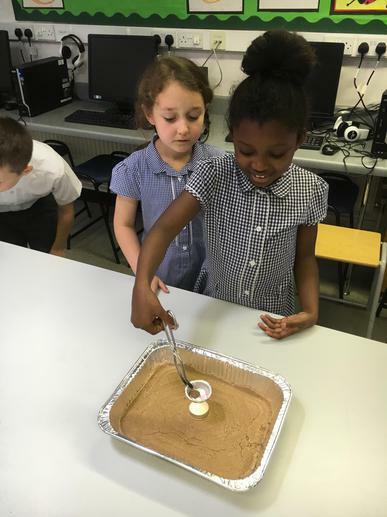 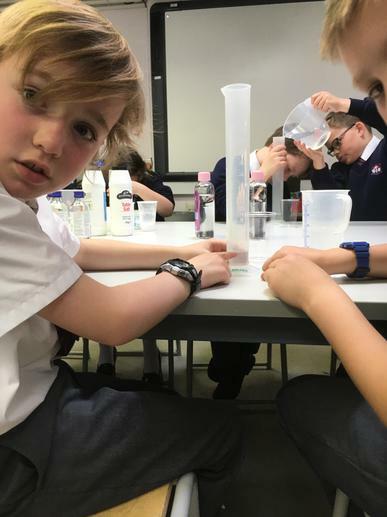 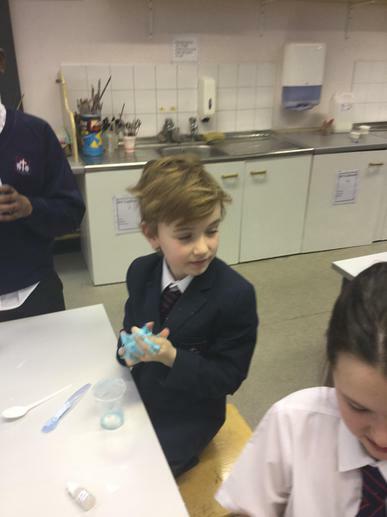 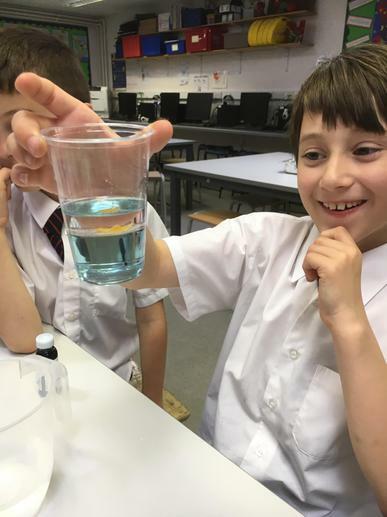 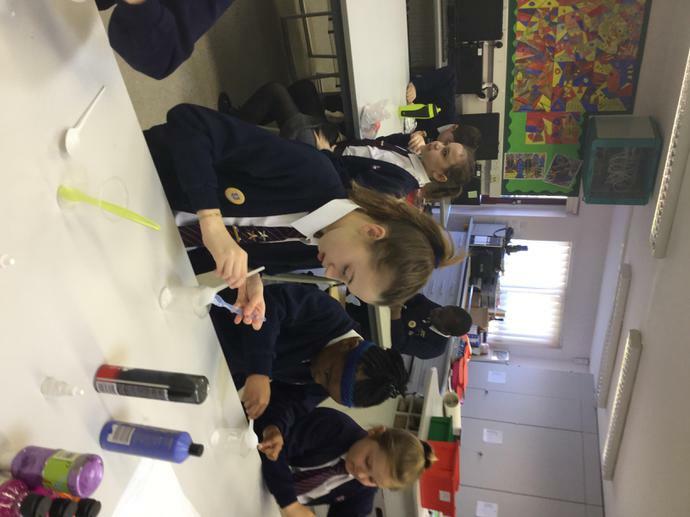 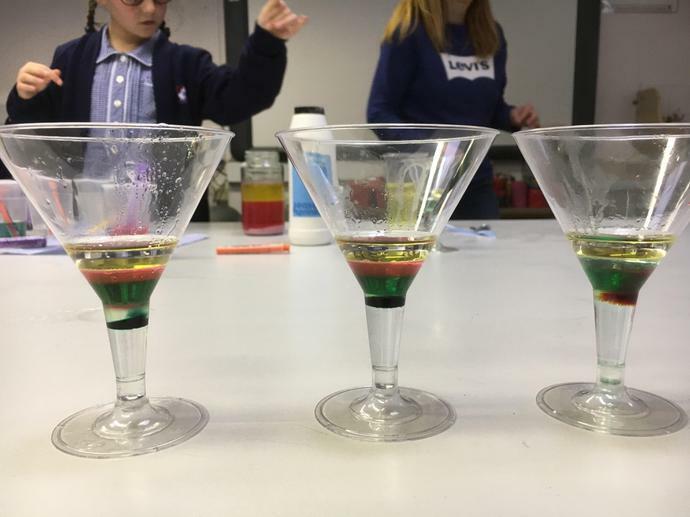 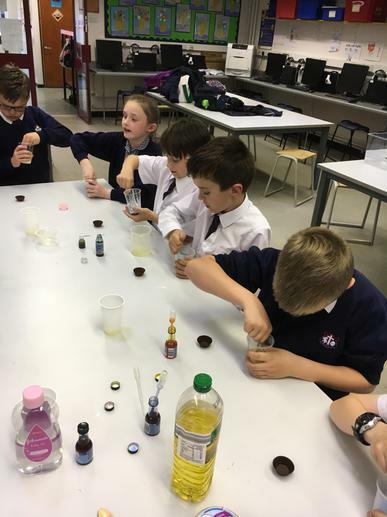 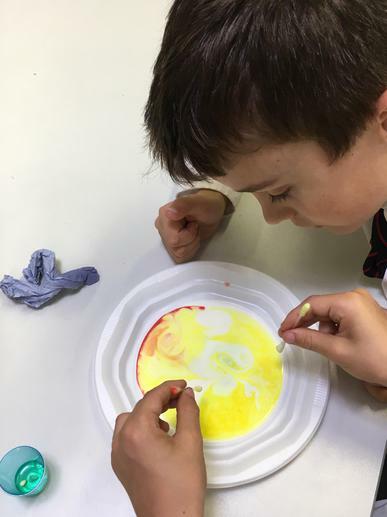 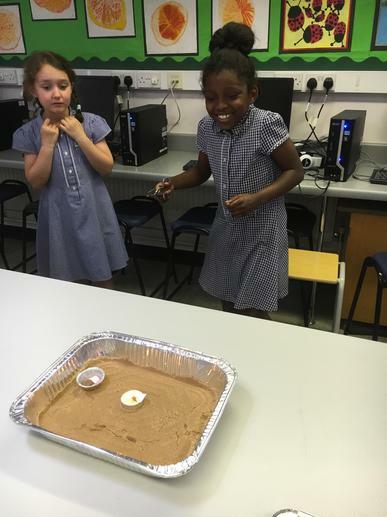 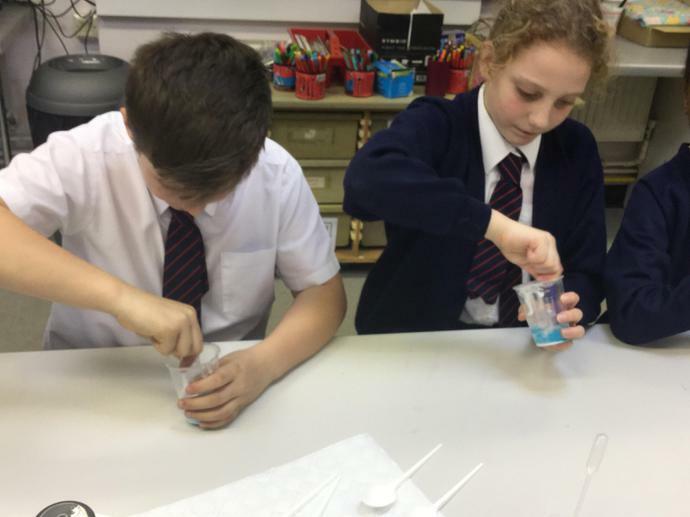 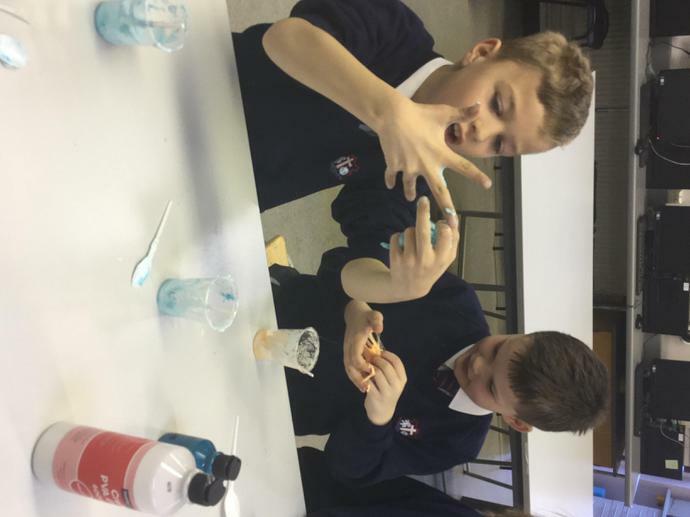 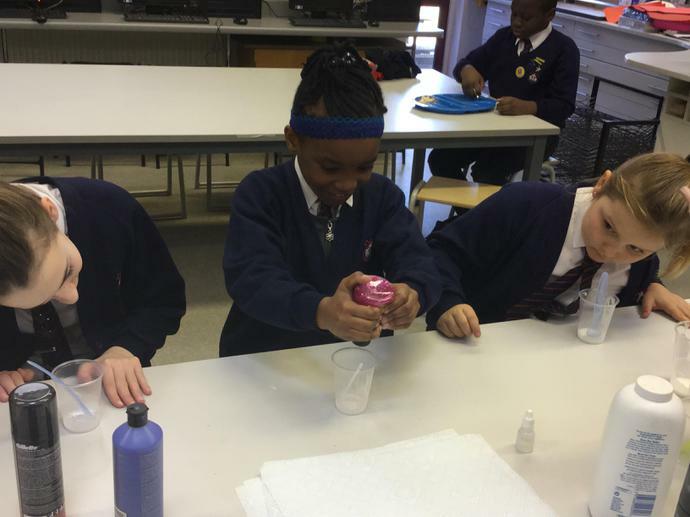 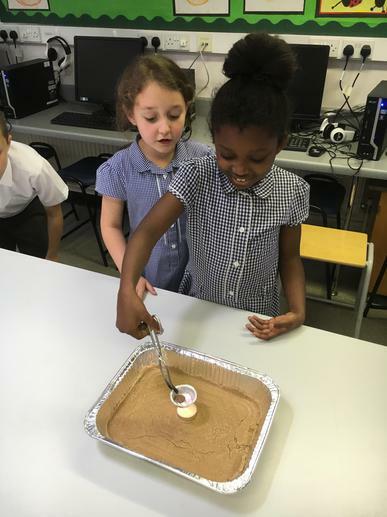 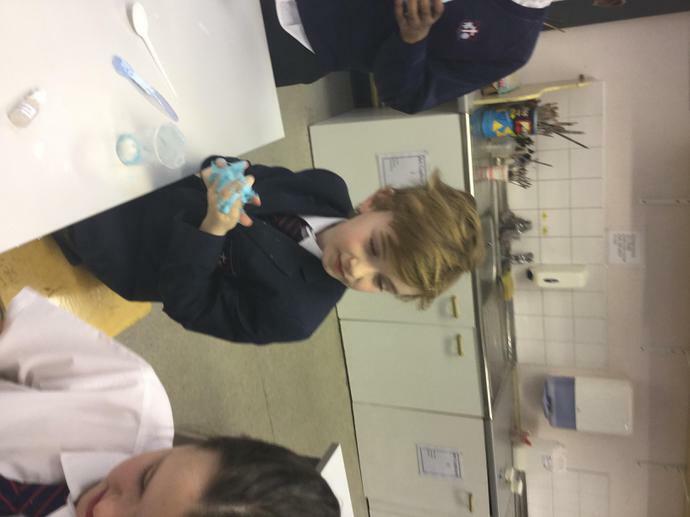 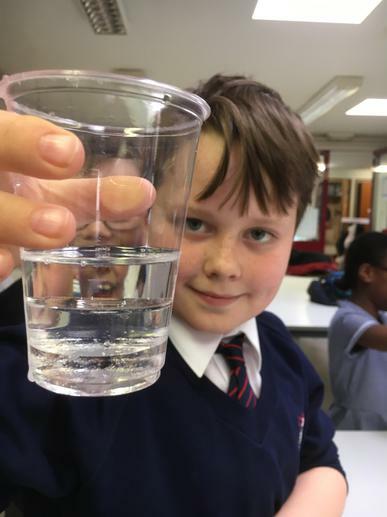 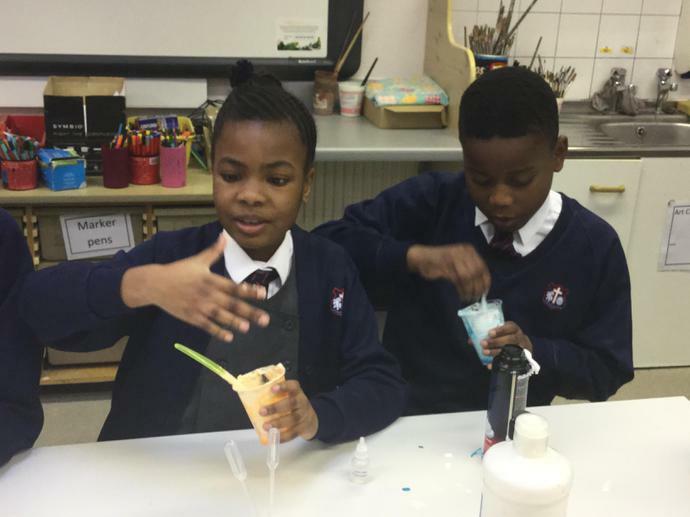 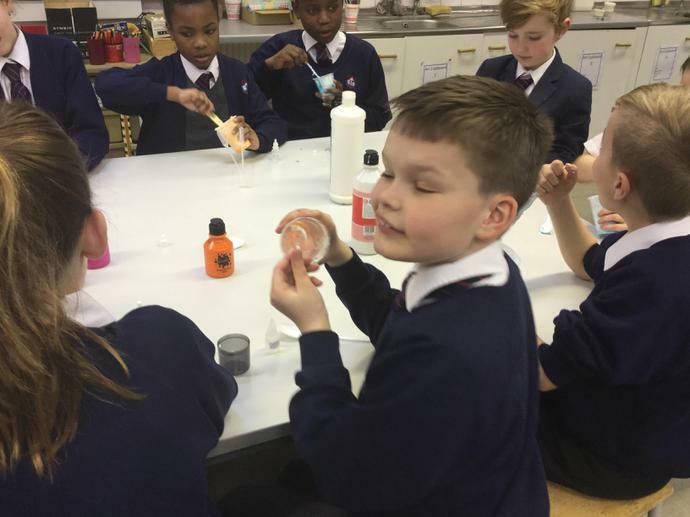 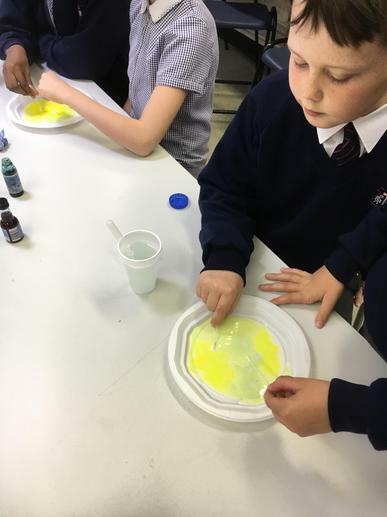 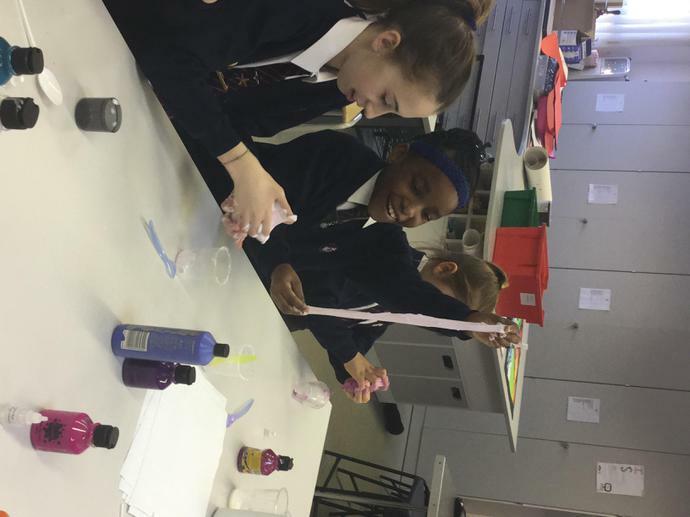 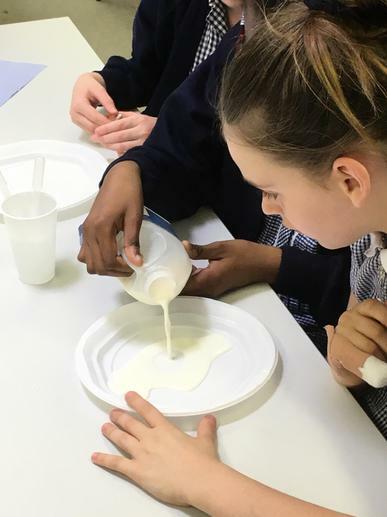 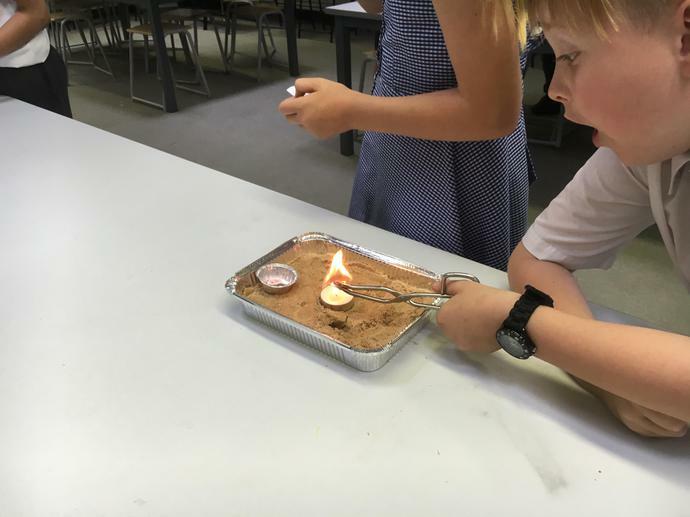 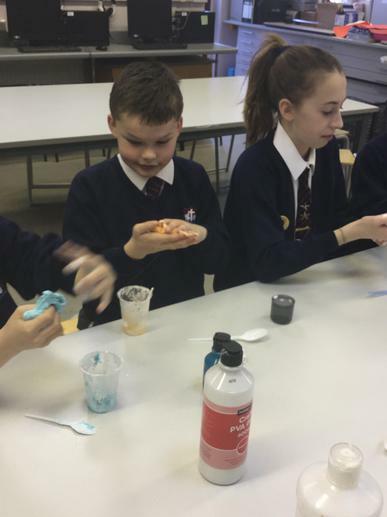 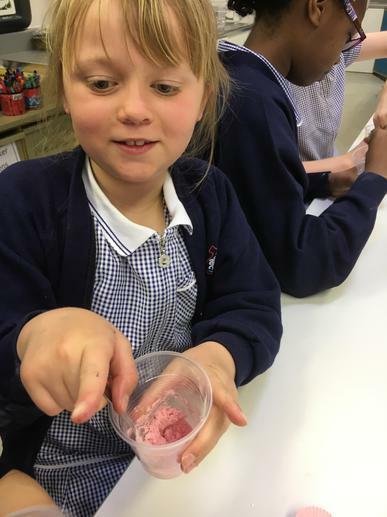 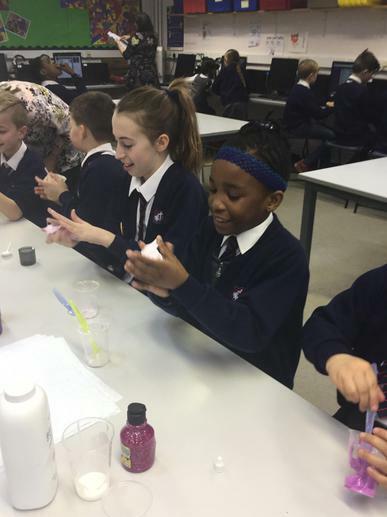 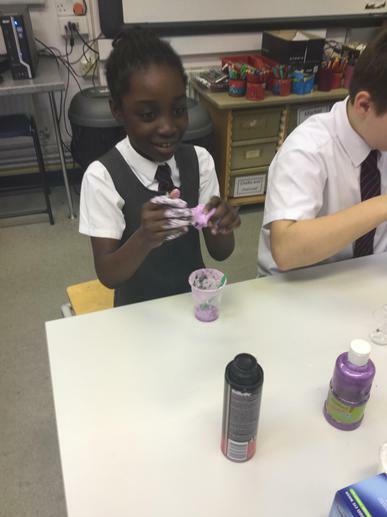 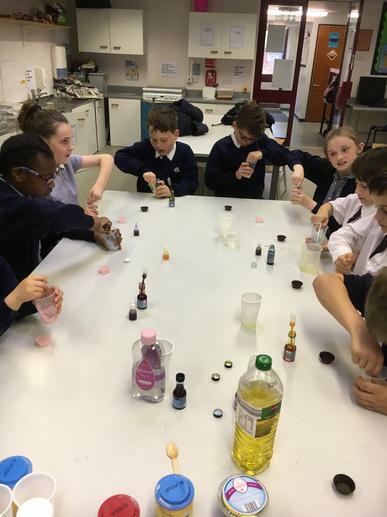 Science is taught throughout the school in a variety of ways, through play in Early Years, Forest School in Key Stage 1 as well as more formal lessons throughout the school. 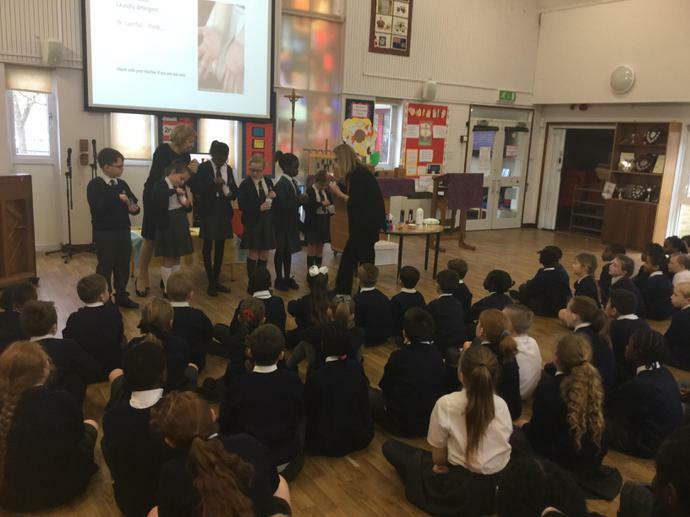 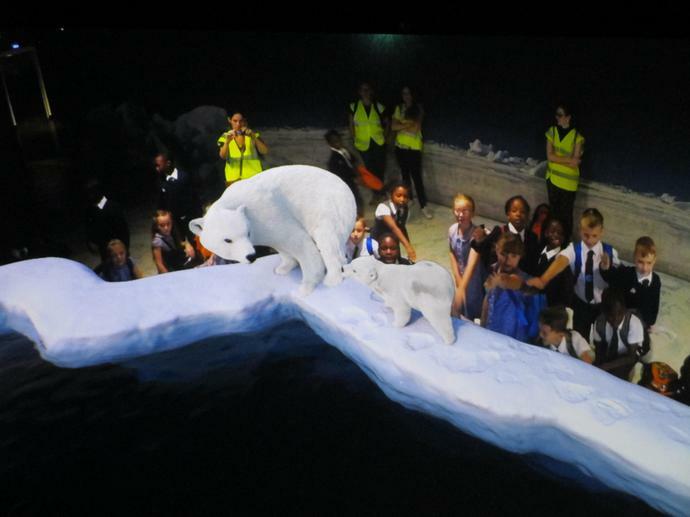 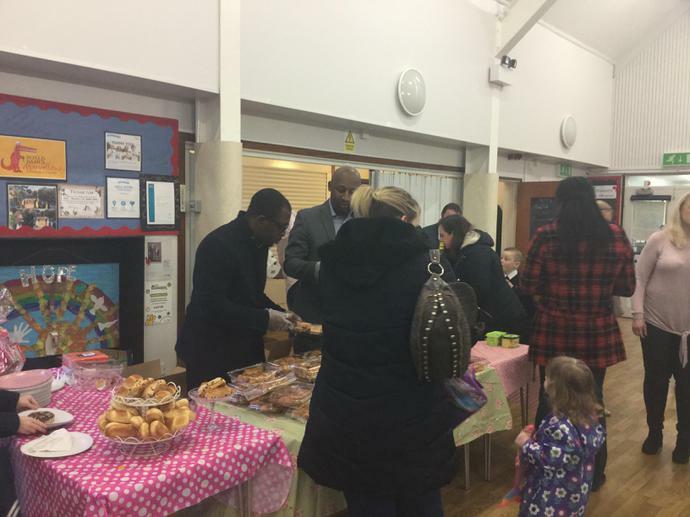 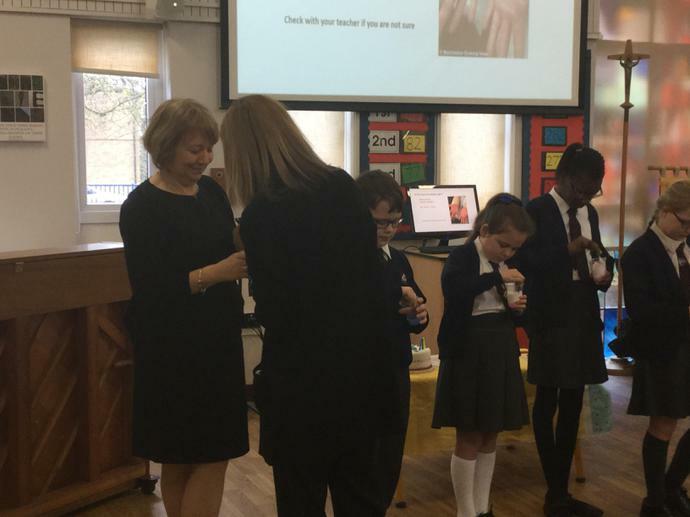 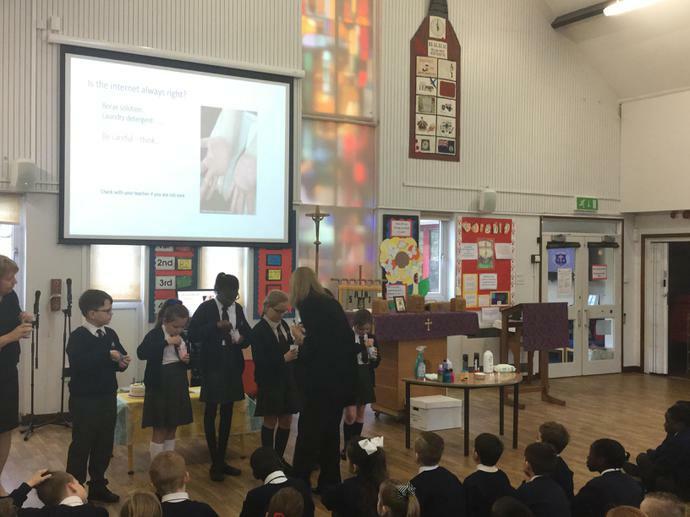 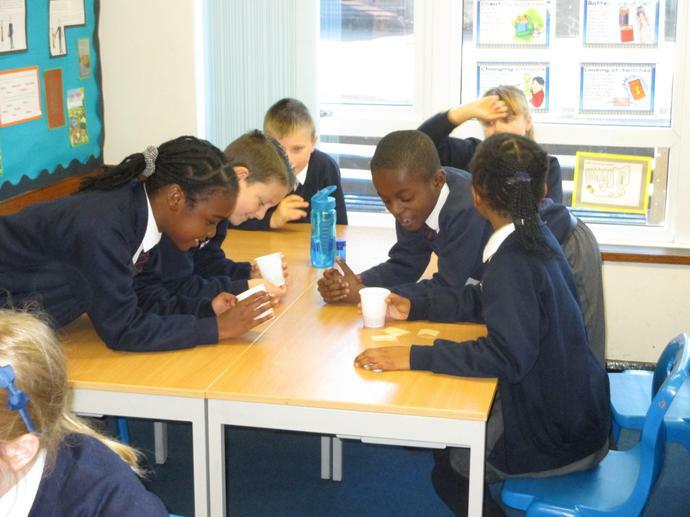 The children are encouraged to carry out investigations and record their findings. 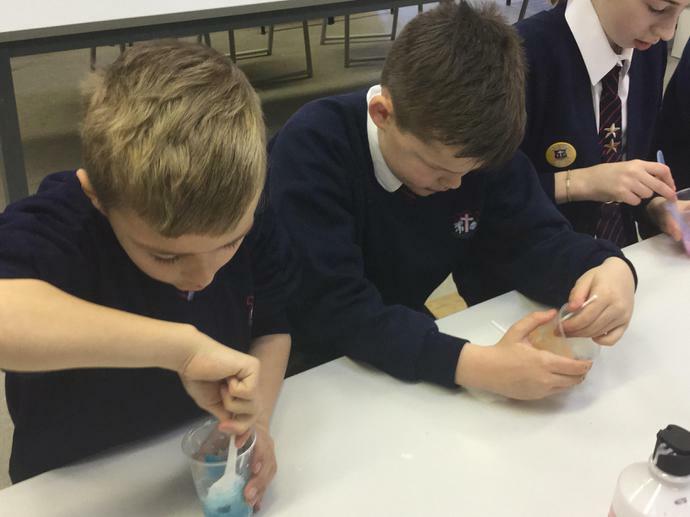 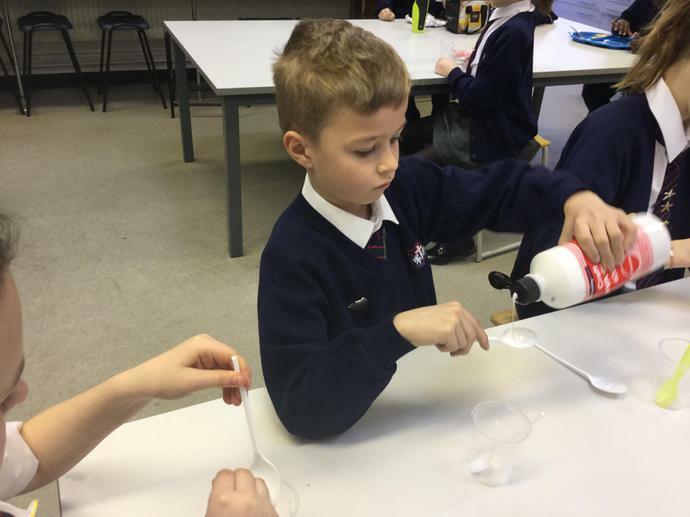 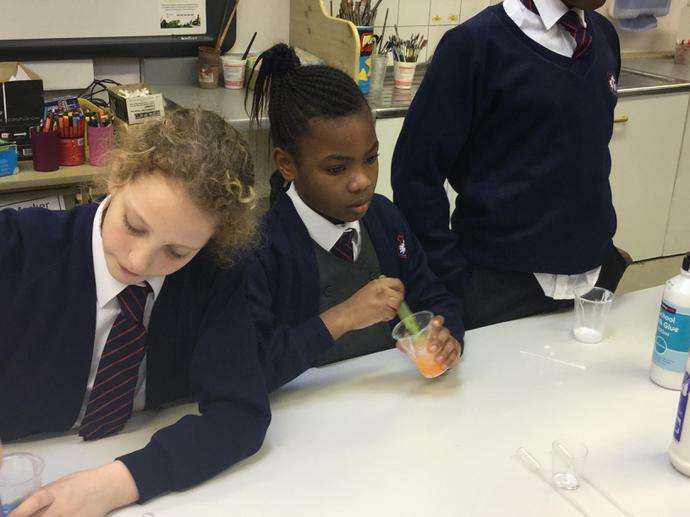 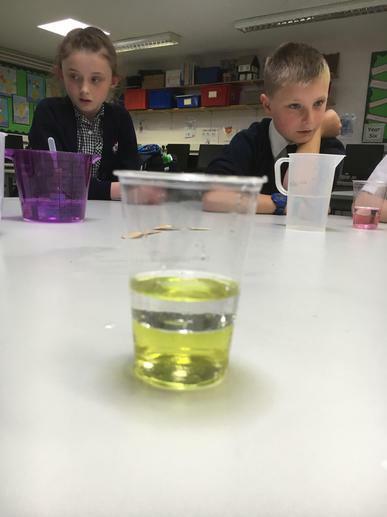 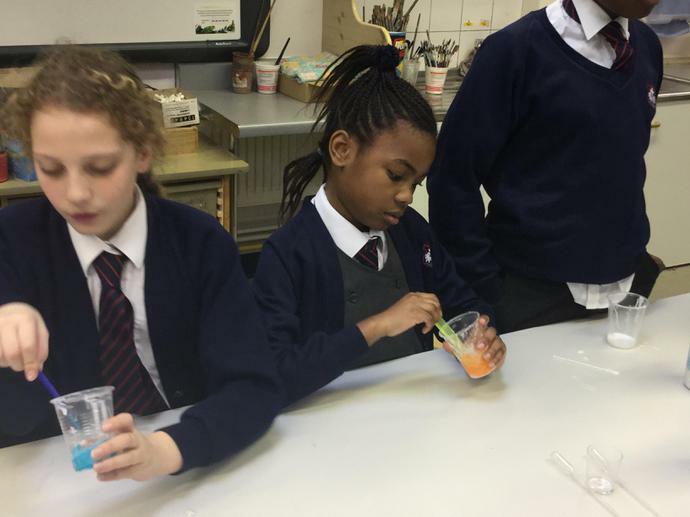 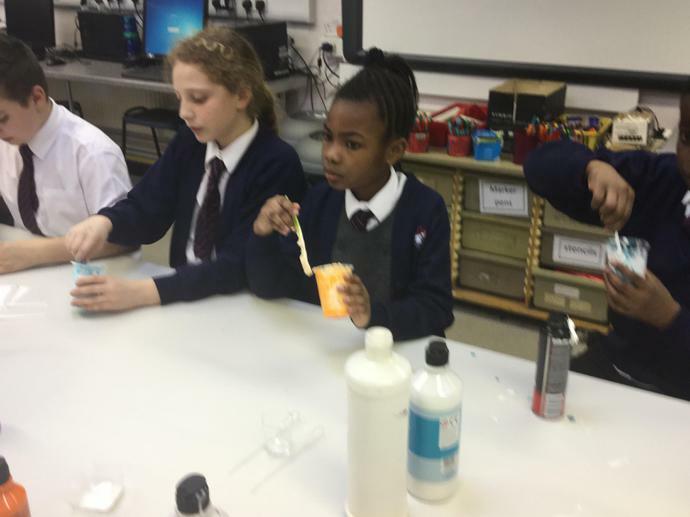 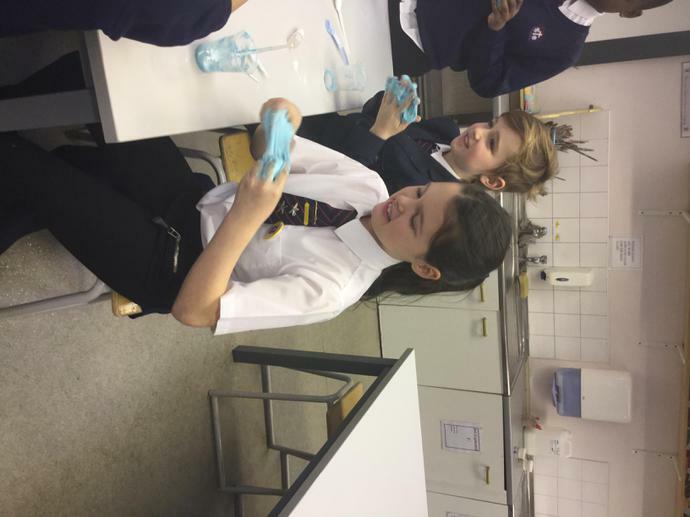 Changing a liquid into a solid. 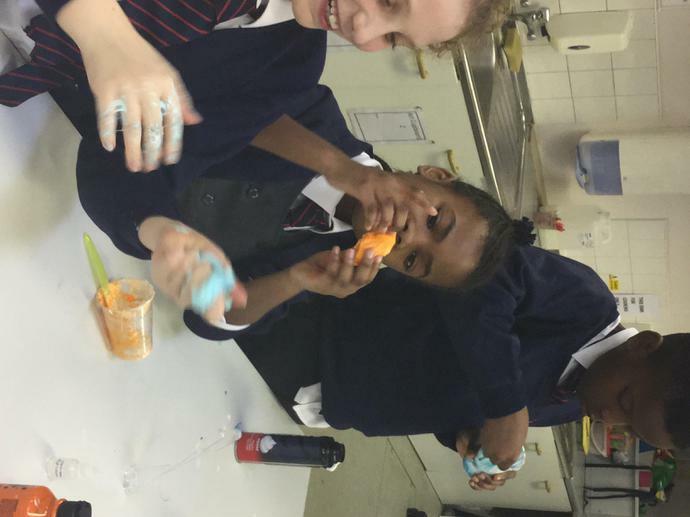 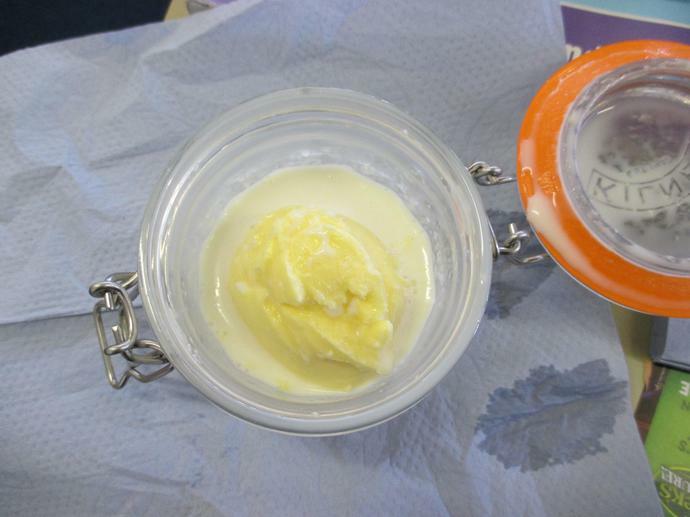 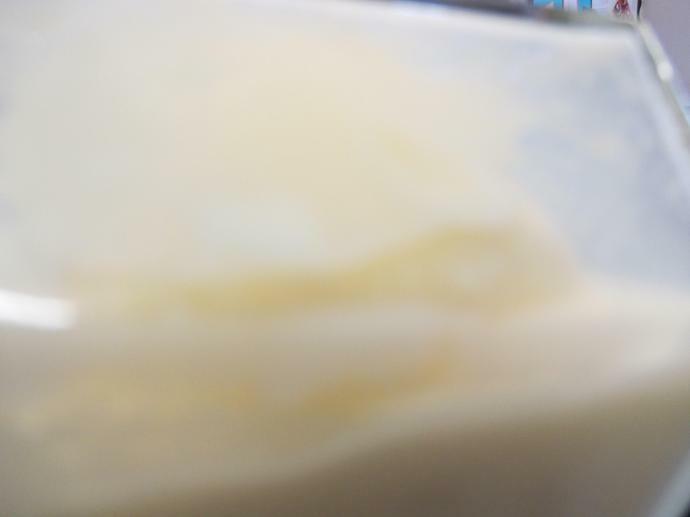 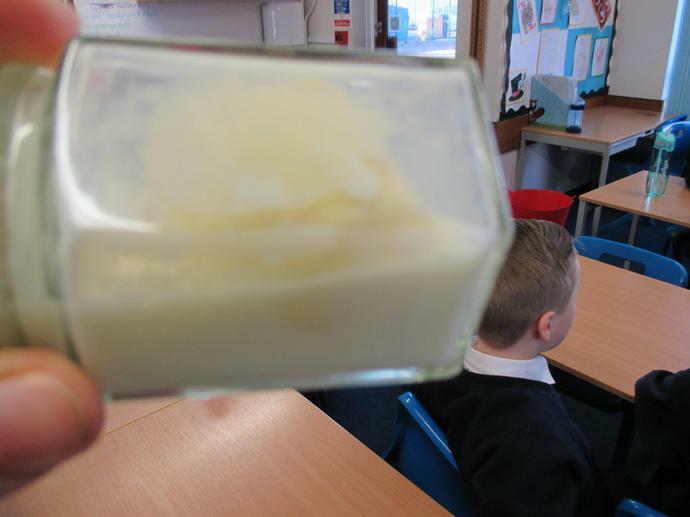 We made our own butter that we then put onto bread and ate. 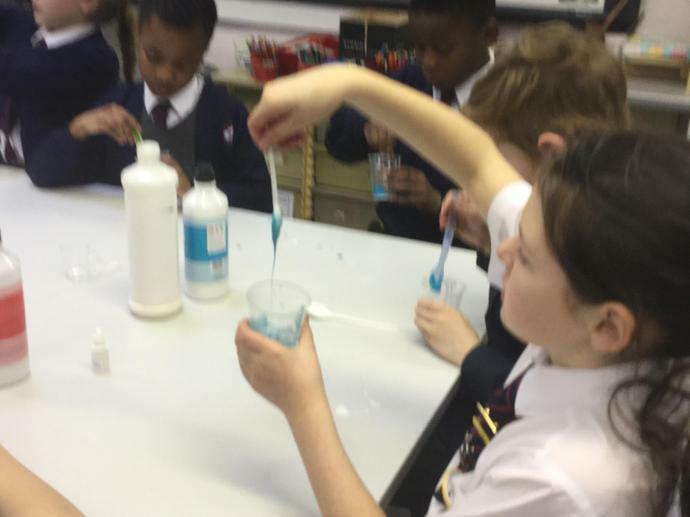 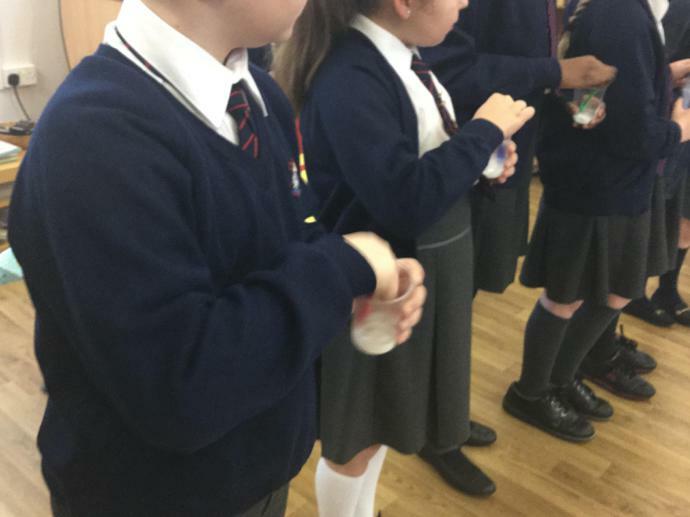 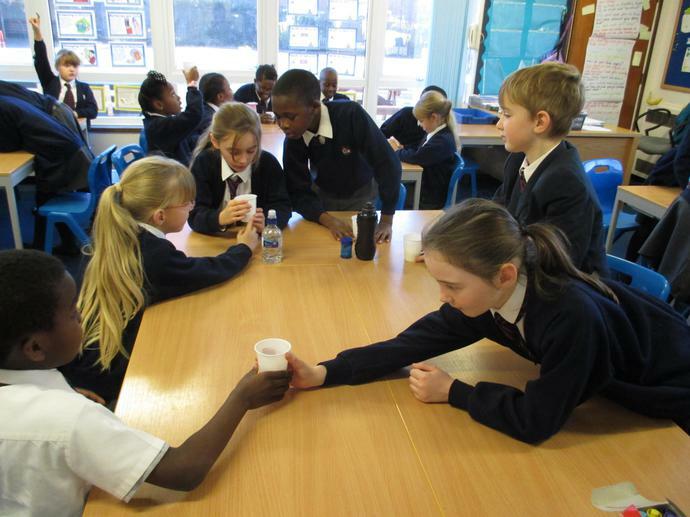 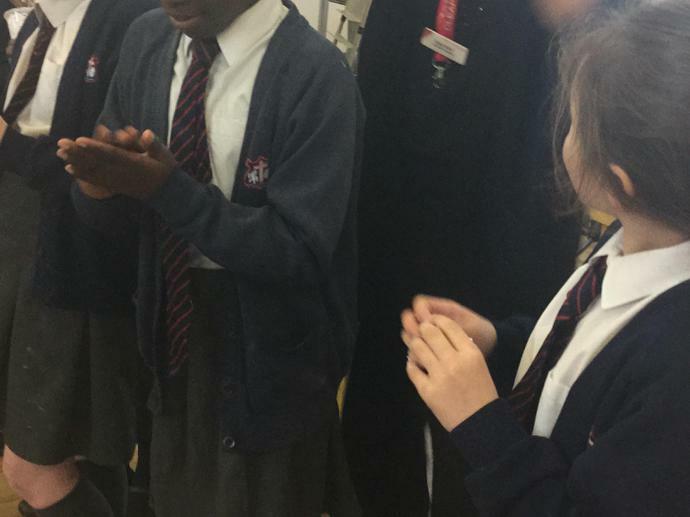 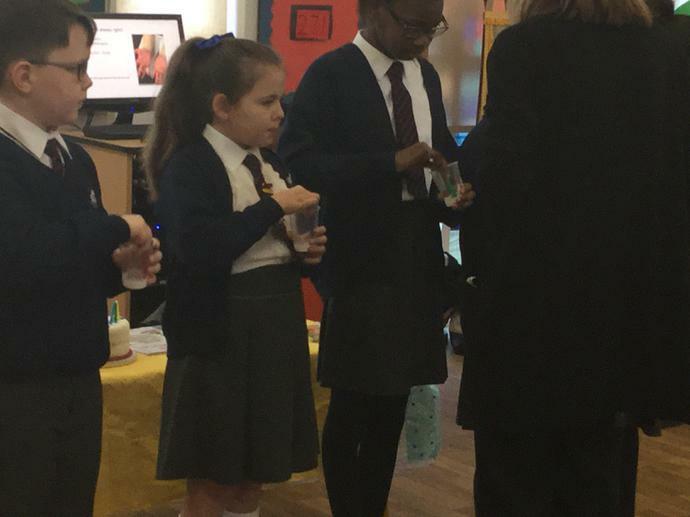 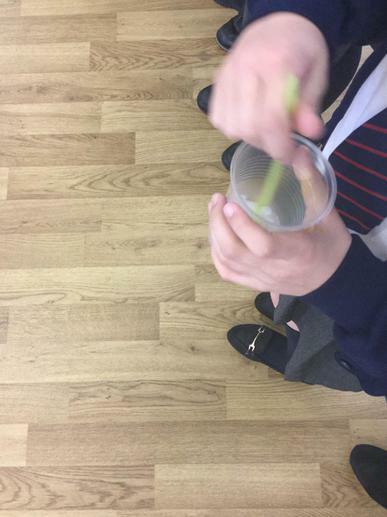 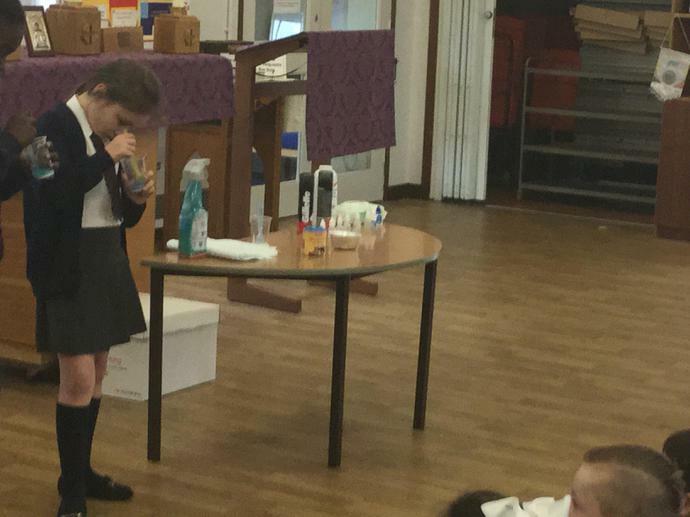 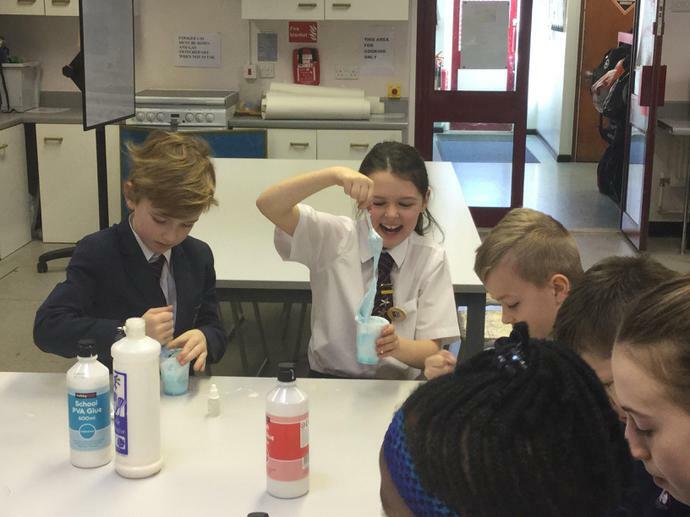 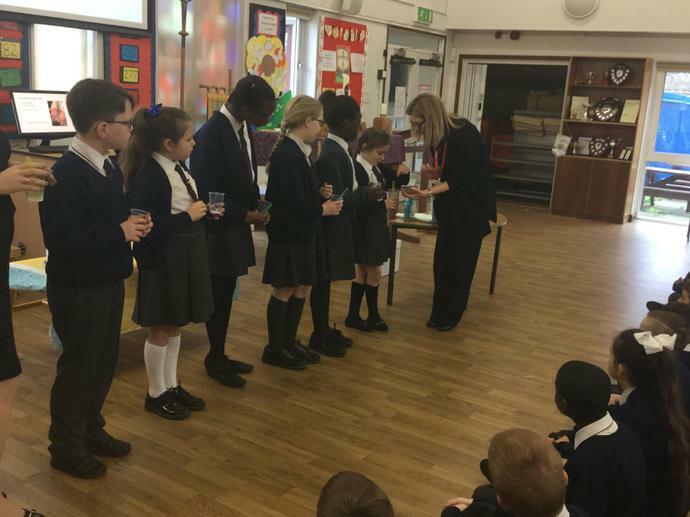 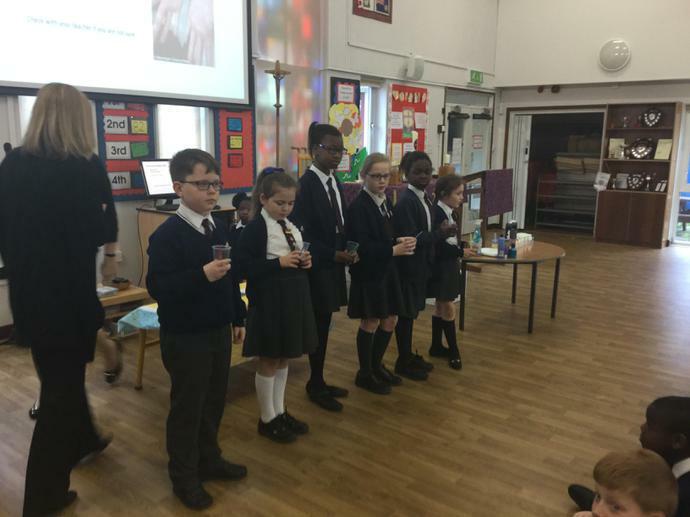 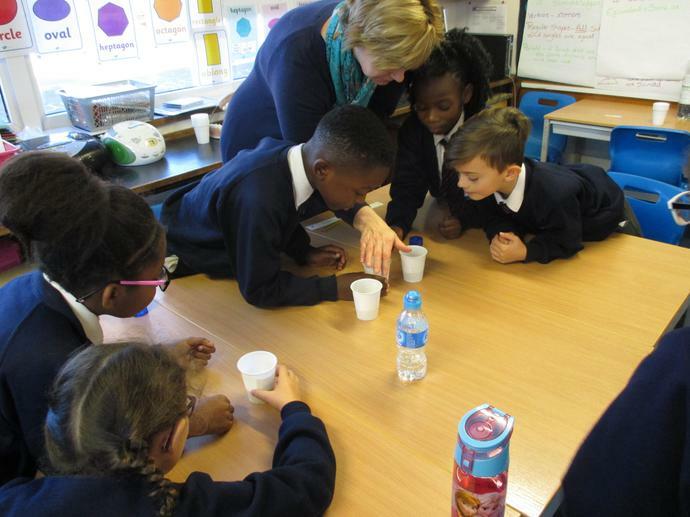 We also investigated the effects of different drinks on our teeth. 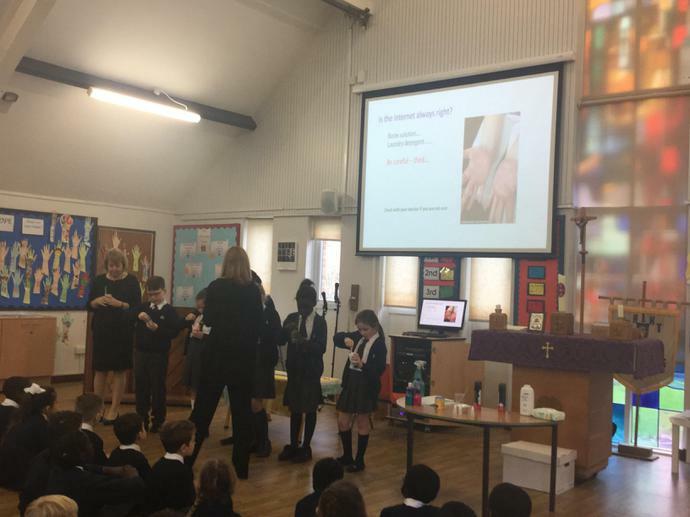 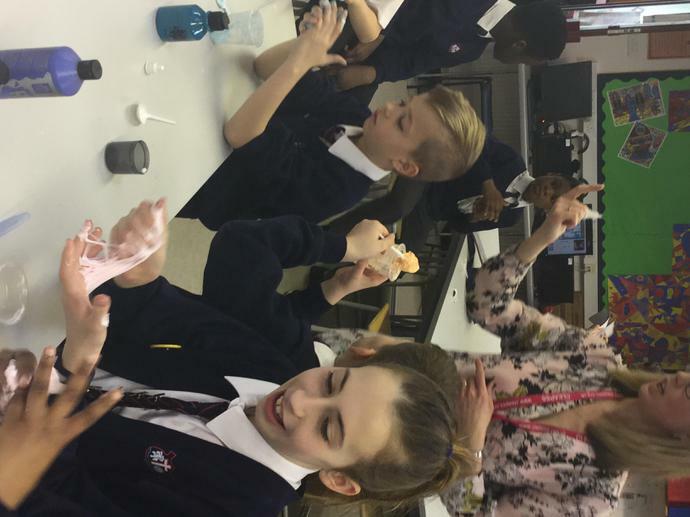 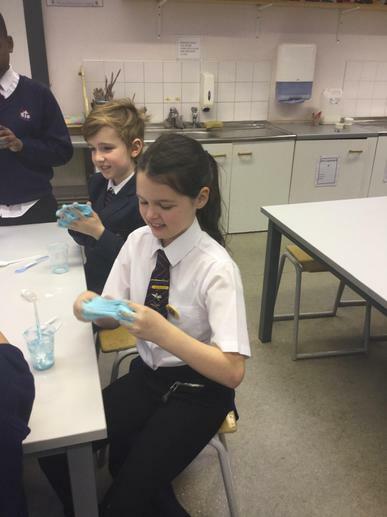 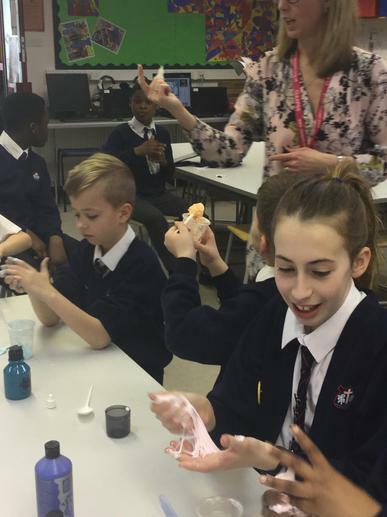 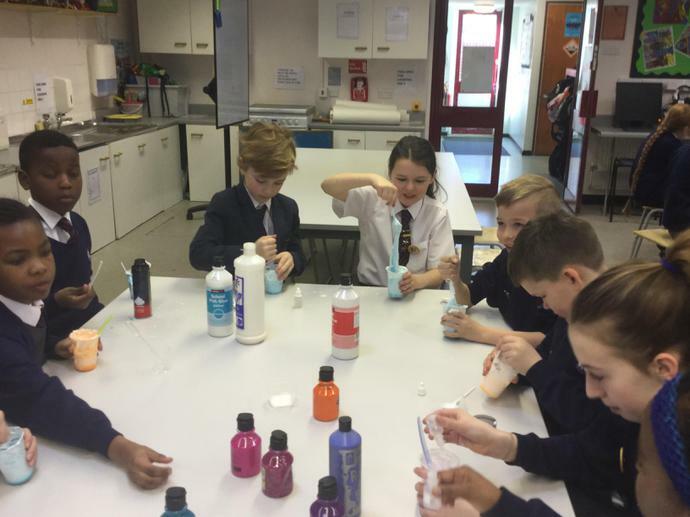 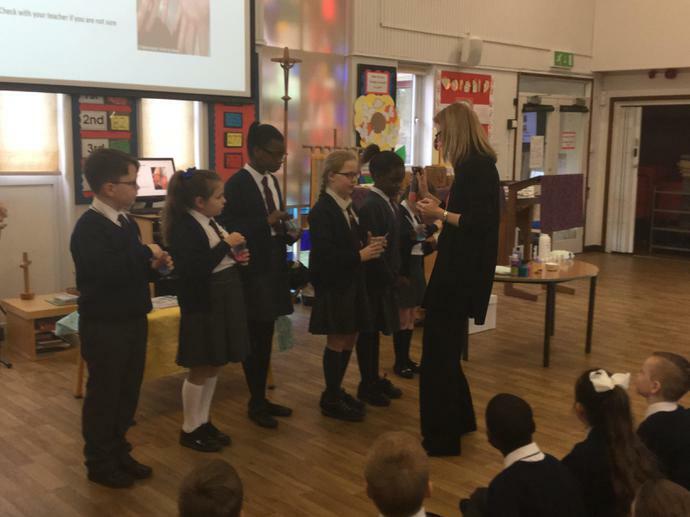 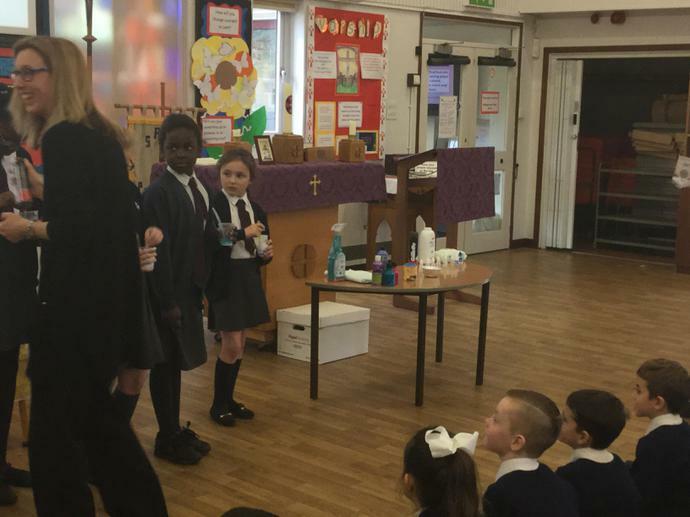 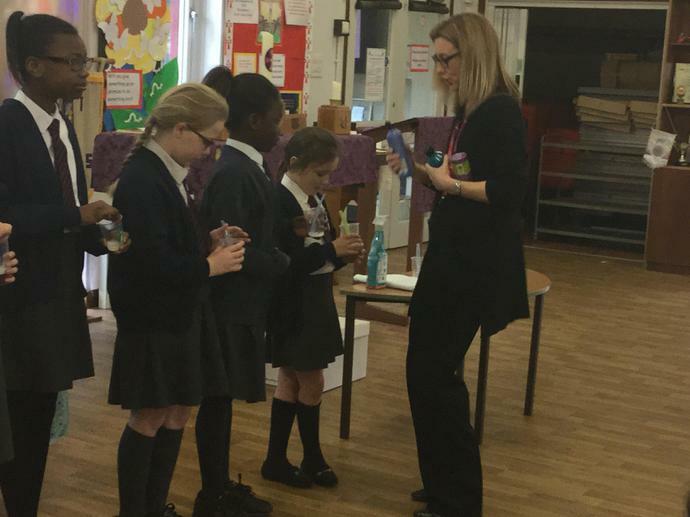 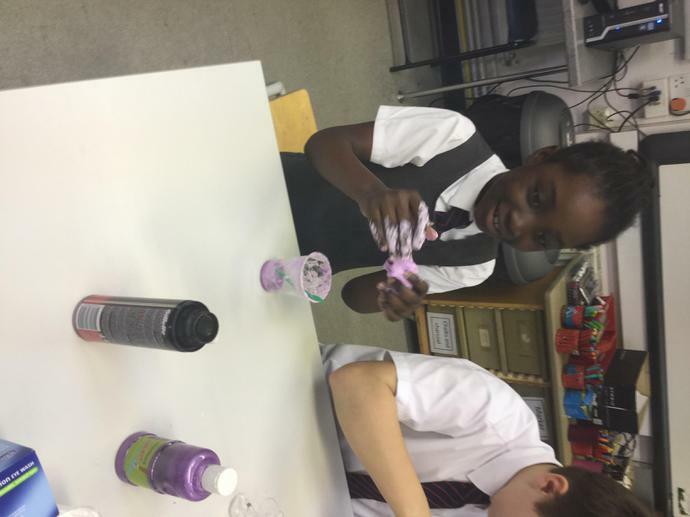 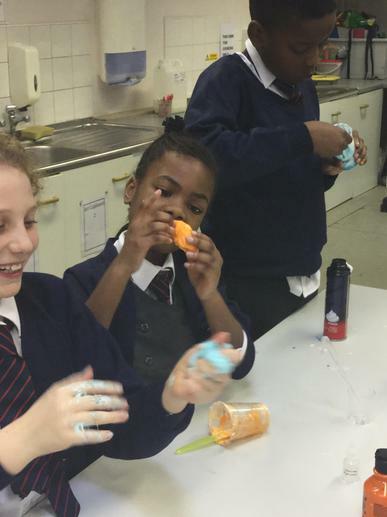 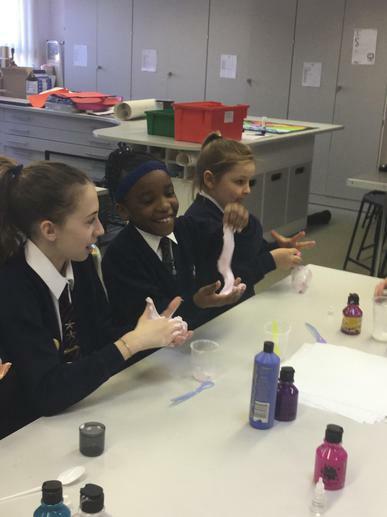 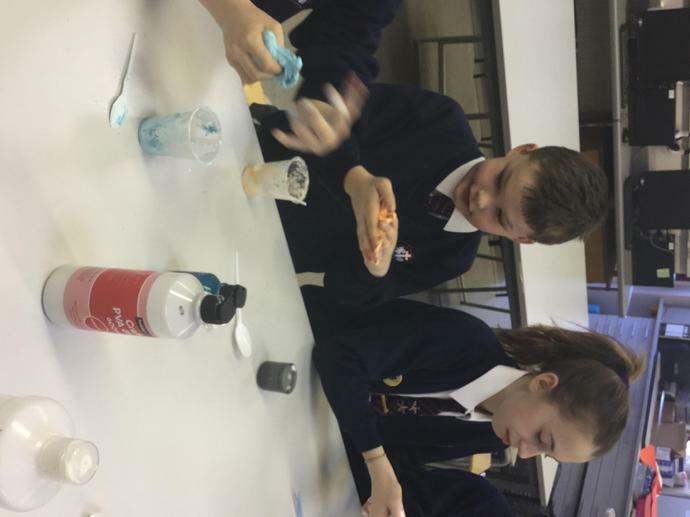 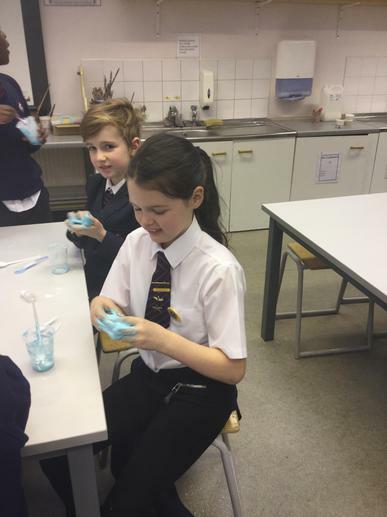 Dr Pack teaching a group of children how to make 'safe' slime that won't harm our skin. 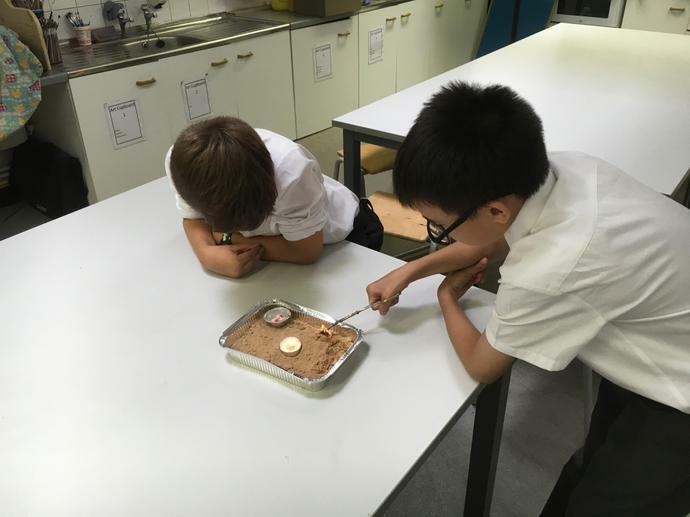 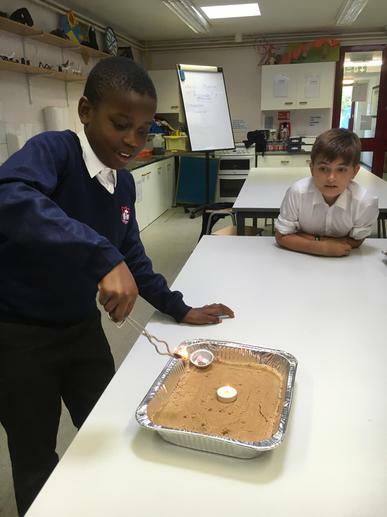 Investigating the effect of heating different materials. 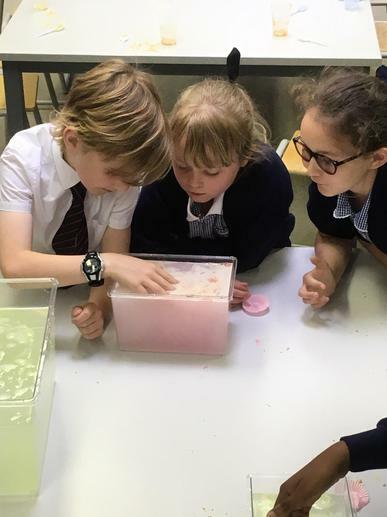 Looking at what lives in our school ponds. 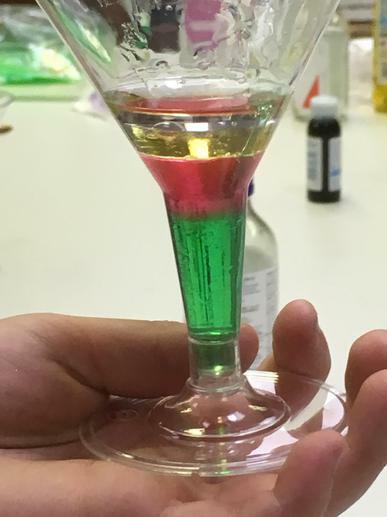 Making density cocktails. 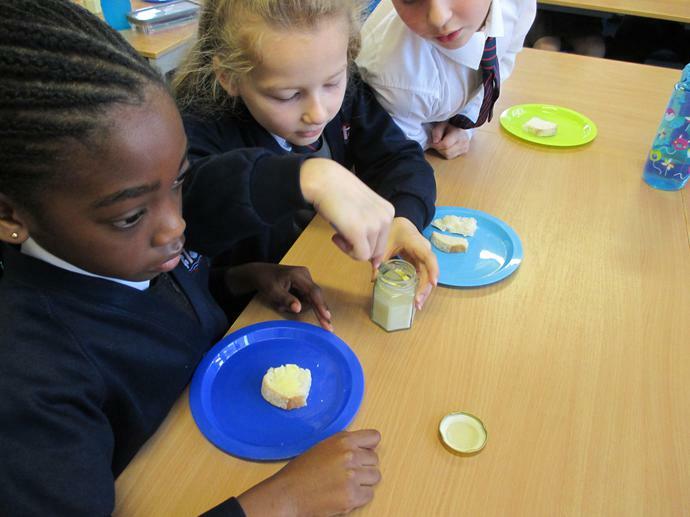 We looked at the density of different materials to see which were heavier. 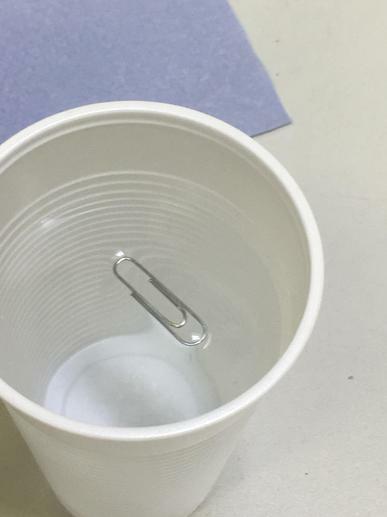 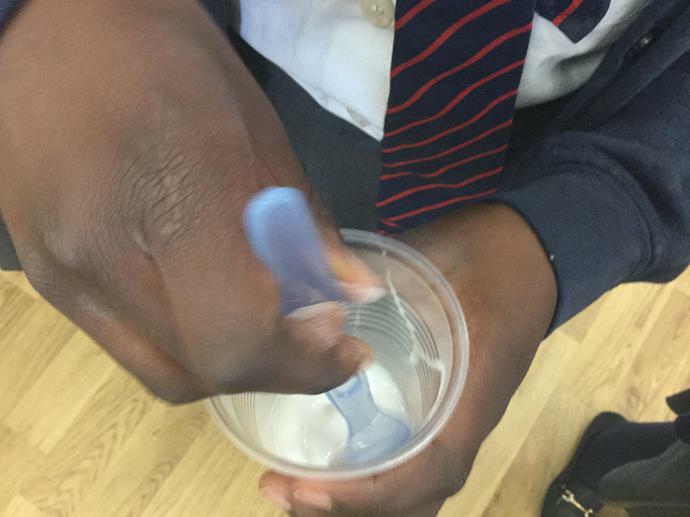 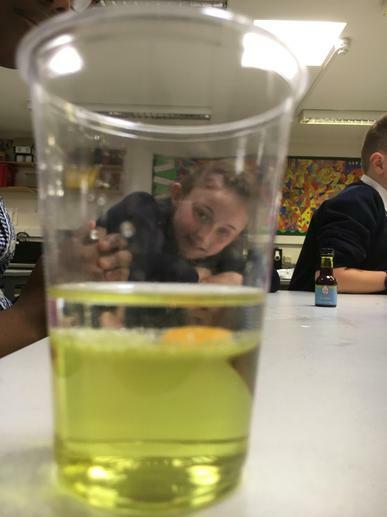 We also investigated what surface tension is and its effects. 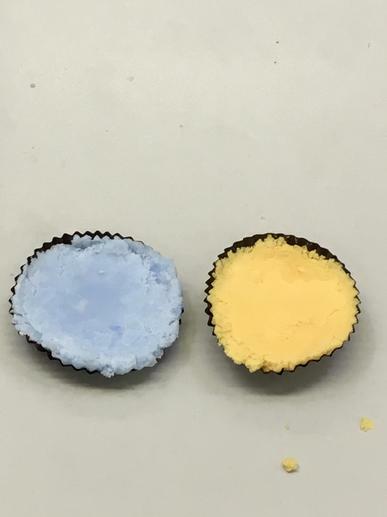 Taste testing. 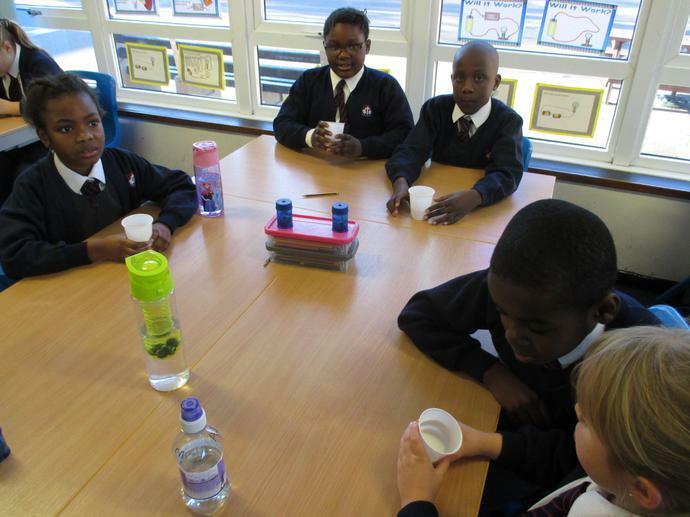 Can we classify the taste of food sweet, sour or salty?